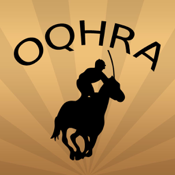 Welcome to Oklahoma Quarter Horse Racing and the Oklahoma Quarter Horse Racing Association. The World's Fastest Athletes. Whether you are a horse enthusiast or just a racing fan, this featured packed app will put you in the middle of that action at one of Oklahoma's 3 tracks or in your own living room. Upcoming races for all Oklahoma tracks. Races and results for all Oklahoma tracks. Race videos available generally 5 minutes after each race's conclusion. Horseman section contains a speed index conversion program. 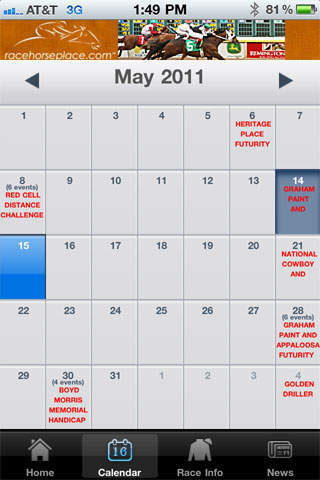 Horseman section also includes a saved run program to track your favorite horses or your personal horse's runs. Learning center explains various wager options and includes general wager calculator. Tip sheets brought to you each week customized for each race day. Featured owners, breeders, stallions, horses and jockeys with personal profiles.